In the final paragraph the nugget appears: know when you are making choices. This avoids the feeling that things simply happen to you. You might still not make the best choice, but at least you’ll be aware of what you chose and perhaps be better at avoiding it next time. 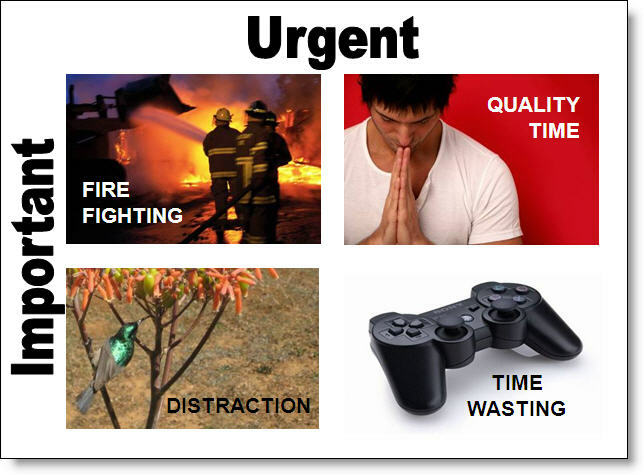 Thanks for the reminder about “important vs. urgent” – the pictures really hit home! This entry is filed under Personal Development, Productivity.